The custom landscaping pros in Phoenix from Earthtones Landscape Management are here to solve all of your custom landscape design woes today! Our talented staff of landscapers and design experts is here to serve you and make all of your ideas become a reality. 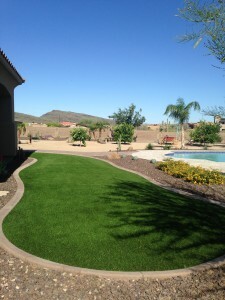 Earthtones Landscape Management makes custom landscaping in Phoenix easy, affordable and hassle-free! If you’re interested in having custom landscaping in Phoenix, Scottsdale, Glendale, or anywhere in the Valley area, give us a call. We’re the Phoenix landscaping company you can trust. Contact us now to discuss your ideas and we’ll get started on building the custom landscaping solution that works for you. Why Should I Hire a Professional to Design & Install my Landscape? Great question! Hiring a professional landscaping company is important for many reasons, but there are a few things that come to mind immediately. Getting custom landscape design in Phoenix from Earthtones Landscape Management allows you to add value to your home by elevating your property’s appearance and increasing the actual property’s value. It’s a long-term investment that can really pay off if you plan on selling your home. Even if you don’t ever plan on moving to a new property and simply want to improve the quality and look of your house, there’s no better solution than landscaping. It beautifies and accentuates your home’s natural beauty and provides a great environment for quality time outdoors with friends and family. Lastly, the single best reason for hiring a professional Phoenix landscaping company is the quality of the work provided. Our talented landscapers have years of experience and hundreds upon hundreds of satisfied customers, proving that there’s no better way to get custom landscaping in the Phoenix area than from the tried-and-tested pros at Earthtones Landscape Management. Earthtones Landscape Management offers a wide variety of custom landscape solutions; we would love to work with you on constructing the perfect desertscape you and your family will enjoy and appreciate for years to come. Be sure to take a look at our other landscaping services, or simply call us using the number at the top of your screen or with our online form. We look forward to the opportunity to help you design a custom landscape you’ll be proud to call your own.